Cognitive behavioural therapy or CBT was initiated in the early 1960s by Aaron T. Beck, a noted psychotherapist. Beck developed CBT by noting that people give meanings to certain events. Therefore, certain events do not, in and of themselves, upset a person who abuses alcohol or drugs, however, the way he or she thinks about the events can lead to an abuse problem. Beck identified thoughts that he termed hot or automatic as part of the negative thinking process. These types of thoughts are frequently as destructive as they are unrealistic. As a result, CBT is used to help a binge drinker or abuser of drugs to identify these kinds of thoughts and to recognise them. That way, he or she can better confront the issues that trigger his or her addiction. CBT provides a link between a person’s problems, the actions that causes the problems, and the thought processes that lead to drinking or abusing drugs. Two primary elements are involved in CBT: functional analysis and skills training. Both play integral roles. Functional analysis considers a person’s feelings, thoughts, and circumstances. During functional analysis, the practitioner and patient work together to identify why the patient abuses alcohol or drugs. When functional analysis is used in alcohol and drug counselling, it enables the patient to gain an insight into the cause of his or her problems and what propels him or her to react. When skills training is emphasised, the patient unlearns the habits that cause abuse whilst learning new ways to cope. The idea of skills training is to motivate the patient to find new methods of coping with the situations that led to his or her addiction in the first place. When people get involved in binge drinking, it is because drinking, in society, is socially acceptable and therefore is used by many to relax or deal with stress. That is why alcohol, just like any drug, is easy to abuse. Once you become physically or mentally dependent on the substance, you can experience severe consequences personally and professionally. Very few people can break this type of addiction on their own. That is why they need to make an appointment with a professional – someone who can remain objective and reassuring during the treatment process. A professional has the right credentials and experience to help someone with an abuse problem to deal with this type of issue. If you want to find a way to overcome an abuse problem, you need to work with someone who can evaluate and resolve your issues. 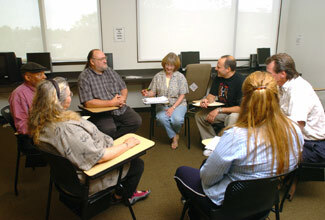 Besides CBT, treatment, as indicated, extends to the use of hypnosis. Either of these forms of therapy can assist you in overcoming drug abuse issues and reaping the benefits that these treatments provide. For example, hypnosis assists in freeing a binge drinker or drug abuser from the emotional restrictions he or she feels in his or her daily life. By using hypnosis, a drinker or drug user can break the compulsion of substance abuse and slow down any drinking or drug use. The therapy also addresses the underlying reasons for drinking or taking drugs. Taking control of this type of situation is possible. You only need to contact a professional who can help get you back on track emotionally and intellectually.